This is the kind of blog post a lot of people don’t like to read… I am a vegan and I’m about to be less than complimentary about a vegan product made by a vegan company. My years as a vegan have been spent tasting and rating vegan cheeses. 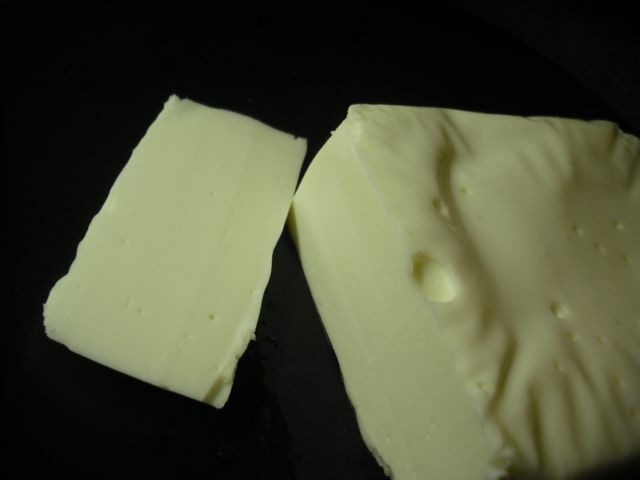 I have enjoyed many fine dairy alternatives including Cheezly, Vegusto, Daiya and Sheese. These brands are market leaders in the field of compassionate cheese production and I rarely go more than a few days without consuming a bit of something from this list. As an established vegan cheese lover, it is therefore upsetting to discover a product that fails to impress. I hate to be the bearer of such a negative opinion, but I bought some Vegourmet and it was sadly sub par. I certainly had high hopes for Vegourmet and I went into the experience hoping for the best, but it left a lot to be desired. Firstly, the texture was more rubbery than I normally enjoy. The block was heavy and sliced easily, but was far too chewy. I’ll put the taste review in simple language… rubbery and chalky. In my opinion, it wasn’t an enjoyable eating experience. But I don’t give up easily and I wanted to find a way to enjoy Vegourmet. Enter pizza. The cheese melted adequately, but I’m sad to say the flavour wasn’t improved by heat. Of course I would love to hear from those who enjoyed Vegourmet, as this blog is just the opinion of one fat, gay vegan. My first impressions are not enough to get me buying it again anytime soon. Have you had a different experience? You forgot to mention the acetone flavour. I didn’t like it either unfortunately. The only cheese I have found that I like is the Vegusto hard cheese. 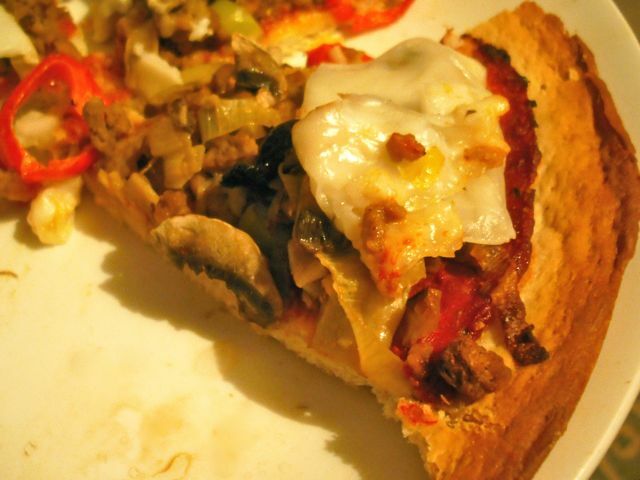 Thanks for all your helpful blog posts by the way – it was you that pointed me to Vegusto in the first place! I’ve only trired vegourmet once and that was at my local veggie/vegan restuarant. I’ve no idea what type it was, just that it was vegourmet, it was more orangey coloured than yours (if thats any help haha) but I had it on a lasange and enjoyed it. The only vegan cheese I dislike (so far) is Sheese, can’t get away with it. Maybe other types of vegourmet might be better for you? I like Vegourmet! The herb one and tomato ones are really nice (IMHO). I can’t eat Vegusto cheeses as they are made with nut butter, which I’m intolerant to, so can’t compare those. I don’t know anybody else who likes any of the vegan cheeses! The only ones I’ve enjoyed are Cheezly and the Tofutti cream cheese alternatives. I found Sheese pretty much unbearable but haven’t had the opportunity to try Vegusto or Daiya. Not that I can afford to buy any of the vegan meat/dairy alternatives often anyway! I really really like both the Vegusto and Vegourmet cheeses I have tried and one of the best things I like about them is the consistency – I prefer a more solid, slightly “rubbery” type cheese than one that seems fatty and slightly granular, such as “Cheezly” which I have eaten up until now. Flavourwise they are quite delicious. I agree with the Scheese haters. I have tried this every which way, including the cream cheese variants, and still cannot stand either the flavour (much, much too strong for me – could possibly be useful in a cheese sauce) or consistency. As I live in London I can buy Vegourmet cheeses from the Secret Society of Vegans shop at 73 Caledonian Road, Kings Cross. I will continue to buy Vegusto, but probably rarely now the festive season is drawing to a close as I agree that the products, although very good, are extremely expensive. They also seem to be available via mail order only. Do try their festive roasts next Christmas – they are available November and December only – they are really great. After 21 years as a vegetarian, I finally took the next step and became a vegan 5 months ago. During those 21 years I was a big eater of mature and extra mature vegetarian Cheddar cheese, and my favourites were McLelland’s Strong and Seriously Strong varieties. However, having tried virtually every vegan Cheddar cheese alternative available in the UK since my “conversion”, I have not found one that I liked. There is no comparison in either taste or texture to vegetarian Cheddar cheeses. 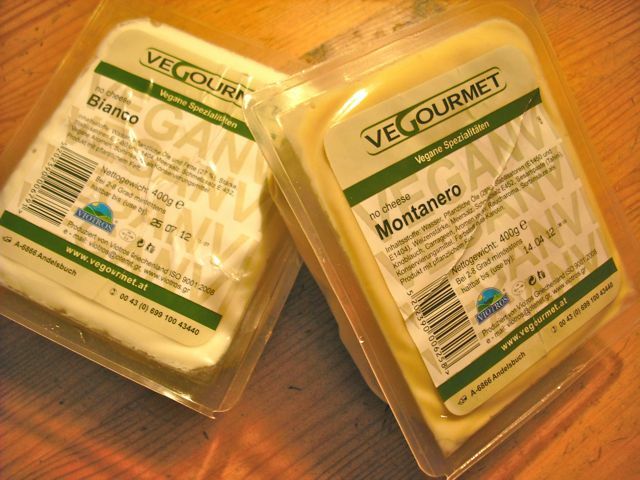 I have tried all the Vegourmet and Vegusto cheeses, and the only one I would buy again is the former’s Montanero, because I quite like its smokey flavour, and it is meltable. Although I also liked Vegusto’s Piquant, I am not prepared to pay their ridiculous price for such a small quantity. However, my favourite vegan cheese is Bute Island’s Blue Style Sheese, which does actually taste like Blue Stilton. Although it does not melt, I find that, when grated, it is a very tasty, acceptable alternative in recipes for which I would previously have used McLellands Strong or Seriously Strong Cheddar. Ironically, despite being grossly inferior, prices for vegan alternatives are generally triple what I used to pay for Mclellands vegetarian cheese, which was available for less than £2.00 per 400gm when my local Tesco store had its fairy regular “buy 1 get 1 free” offers. Thanks for your comments, Bill. I’d imagine the two biggest factors in the price disparity between vegan and non-vegan cheese are supply/demand forces and a heavily subsidised dairy industry. I totally agree with the others on Sheese – as if the name wasn’t bad enough, the taste is disgusting. One of very few food products I have ever thrown in the bin. I like Vegusto of the bought brands best, definitely. 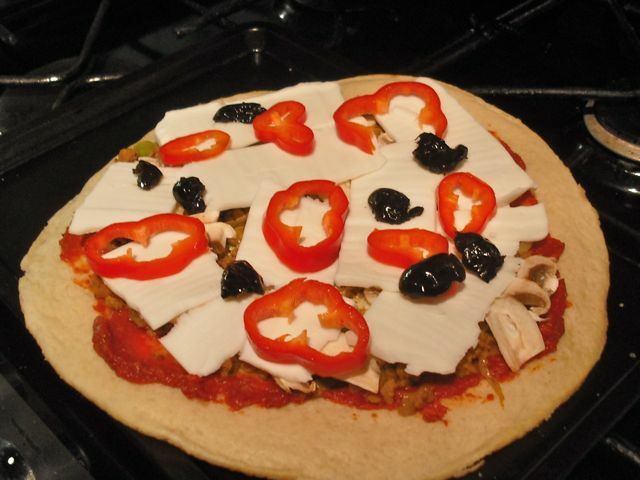 daiya cheese is the best vegan cheese ever! they just need to license manufacture to regional partners. Its only available in US and Canada. I find myself in the minority here as I much prefer the Sheese products- especially as one other commentor mentioned, the blue cheese, and the original cream cheese which has a depth of flavour I enjoy(I find Tofutti very bland by comparison) one exception tough is their cream cheese with chives version. That was an experience I shan’t be repeating. I love Sheese too. The reason why you like the Tesco brand is because it is made by Sheese! There is a review on my site of the Tesco range of vegan products if you want to search it out. Cheers! Haven’t yet tried vegusto though have bought a few varieties of it to try. However I do like the vegourmet and think the one we tried has a very fresh and ‘real’ taste, the texture is unusual but if you have pre-vegan days tried Spanish curado and semi-curado cheese in my opinion it is a very authentic imitator of those, and like the vegourmet those Spanish cheeses are far better melted and quite rank when not melted. Some of the spanish dairy cheeses are far more plasticky/rubbery/waxy than the vegourmet and they are ‘real’ cheese. One my friend bought for me in my pre-vegan days was actually so waxy when I first cut into it that I thought it just had a really thick wax coating on, nope it wasn’t the coating it was the cheese, I gave it to a friend who liked that type of thing. I even plan to trick my Spanish vegan-skeptic friend with the vegourmet soon and I do think she will fall for it. Seriously though I think the problem with some of the European-made vegan cheeses is that we expect them to imitiate British cheese and instead they were designed to imitate European types of cheese many of which are not widely known in the UK and which have quite a wildly different texture and ‘mouth feel’ to what we have grown accustomed to maybe? Yep tried the vegusto and call me weird but I prefer the vegourmet overall. I find the cheesy crisps type after taste to the vegusto a bit too much it’s a shame as texture wise it seems slightly better but the slightly fake wotsits/quavers esque aroma and aftertaste just kills it a bit. I love mature cheese but its something else entirely to a mature taste. Have tried 3 different varieties of vegusto and they all have this issue. I’ll be getting the vegourmet again me thinks. Also going to have a stab at making my own coconut milk based melting vegan cheese which should work out at £1.50 to £2 a big block as I got some coconut milk at bargain basement prices. I think it’s good there are so many options out there now. If it was only cheezly available like back in the day then I would cry and cry lol. Agree scheese is for the bin, redwoods soy free is good and it melts, vegusto piquant is nearest to what I remember of dairy cheese, I have been veggie sixty years but ate a lot of cheese, have been vegan nineteen years, it was like a liberation becoming vegan, should have done it years ago. Recommend it to all. Thank you all for useful comments, glad I found you all, especially fatvegan, join my and my husband’s plump club, when people say shouldn’t you be thin and pale I say if only. I got pretty much addicted to grilled Vegourmet bianco. I liked their other flavours too, and the ‘rubbery’ texture was enjoyable for me. But in particular the way it melts. Vegusto piquant is my next favourite, but like others find it so ridiculously over-priced that I won’t buy it generally. I like different cheeses for different things. I love Vegusto Mild aromatic or Piquant on a cracker or to add a bit of flavour. (Even the master of the house loves this, and he was a major cheese head before we became vegan!) But for melting, as in cheese toasties and pizza Veganic is the boy. The trick with the pizza is to either grill the top or just put it on towards the end of cooking otherwise it’s dry. It basically has the texture of a Kraft cheese slice which is a little viscous but pretty close to the real thing. Veganic is good for adding to a cheese sauce although I usually also at Vegusto for flavour. Veganic is cheaper than Vegusto too. I don’t like Scheese or the Tesco brand they have a very unpleasant plastic/coconut flavour (though I love coconut in other things.) I bought the “Artisan Vegan Cheese” book by Miyoko Schinner ages ago but still haven’t tried making my own, other than the almond ricotta which was brilliant. Vegourmet is my favorite having discovered it a couple years ago after Tofutti was my favorite for a couple decades. Vegourmet Swiss, Celtic and Santi are the best ones. The Celtic makes perfect queso while the mild Santi melts perfectly into everything I cook. And all these taste great on their own atop crackers, etc., something I have never been able to do with vegan cheese (other than Tofutti slices) for decades. I haven’t seen the Vegourmet types pictured here.